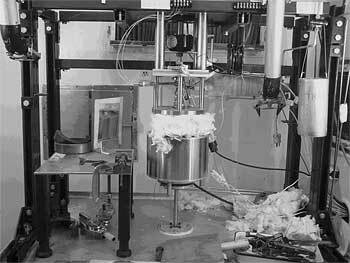 Four Autoclave System for EAC Studies are used to evaluate the resistance of nuclear reactor structural materials environmentally assisted cracking in simulated LWR coolant environments. 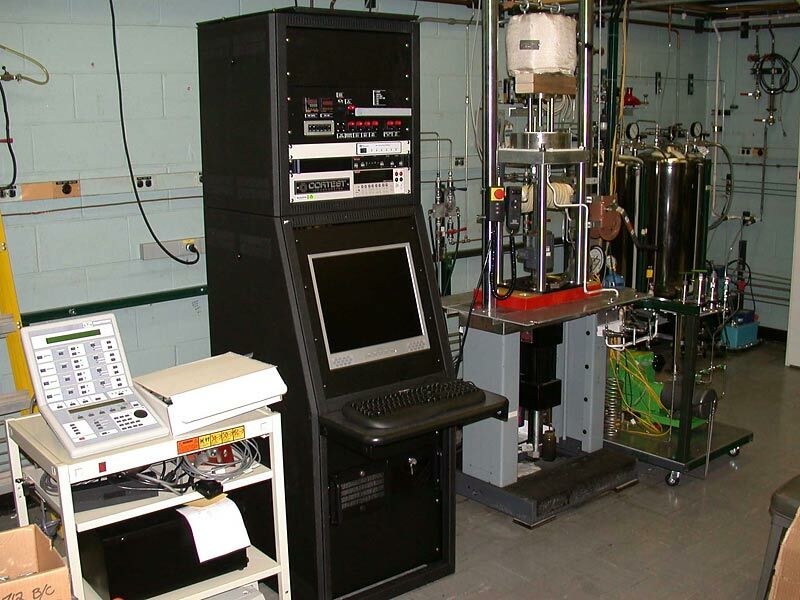 The system allows for fatigue and stress corrosion cracking testing in aqueous environments at temperatures of up to 350°C and consists of a test frame with a 2–liter autoclave, a hydraulic actuator, load train, and a load cell. The water - representative of a LWR coolant environment - is circulated through the autoclave at pre-set flow rates. The state-of-the-art data acquisition system is based on LabView software. The cracking behavior and fracture toughness of reactor internal components are studied in simulated light water reactor (LWR) environments. Two hot-cell test facilities are used to develop experimental data on the irradiation assisted stress corrosion cracking (IASCC) susceptibility, fracture toughness, corrosion fatigue, and stress corrosion cracking, of wrought and cast austenitic SSs and their welds. Our results provide valuable information to further the understanding on the IASCC and provide data needed for reactor safety evaluations and regulations.